But we all know that makers need to watch their wallets hence many of us will buy older laptops and install Ubuntu (or another Linux distro) on the device to get a few more years of service. So can one of the latest wave of cheap Chinese laptops offer enough power for makers and in some places surpass the needs of the maker? Well, the Teclast F7 is one of the last Apollo Lake CPU based laptops that offers to give us an ultraportable system at an affordable price, around $300 at the time of writing, but it has been as low as $219. Enough scene setting let's take the Teclast F7 for a test drive. In the rather nice, sturdy box, we get the laptop presented in an easy to lift tray. 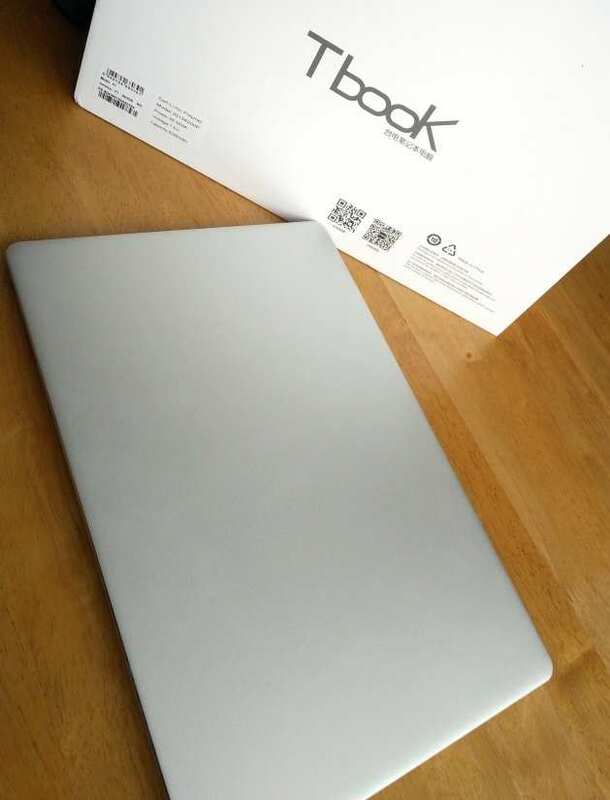 Measuring just 31.50 x 20.85 x 1.35 cm this is a slim all-metal laptop with a passing resemblance to a MacBook Air that weighs only 1.3KG! Slim and light enough to slip inside your rucksack. The all-metal alloy frame is solid, with no flexing of the keyboard when typing. The touchpad is a Windows Precision touchpad which means we have gestures such as two-finger swiping, zoom control and task switcher. Back inside the box and under the tray we have the manuals and warranty card, followed by the 12V 2A power supply, which in this case came in a European pin configuration, but the seller was kind enough to include a UK adapter, which we used for the first charge. Inside the laptop we have an Intel Celeron Apollo Lake N3450 quad core CPU running at 1.1GHz, but this will scale up to 2.1GHz if required. There are no moving parts in this laptop and that includes a cooling system, so to keep cool the CPU has a heatsink that makes contact with the all-metal chassis, effectively using the chassis to keep the system cool. During tests we found that even with the CPU running at 2.1GHz the system did not encounter any thermal throttling. We have 6GB of DDR3 RAM plenty of RAM for most makers and it will have to be as it is non-upgradeable chiefly due to being part of the motherboard. 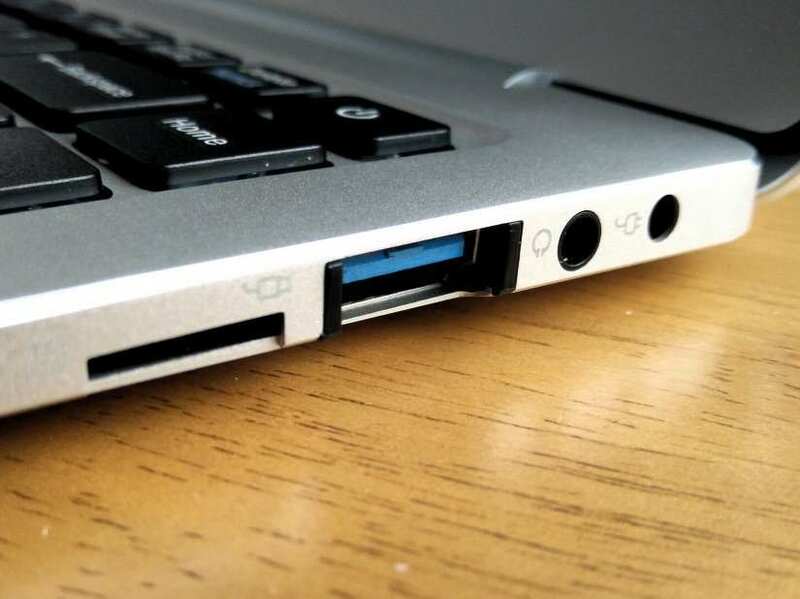 Storage is handled via a 64GB eMMC drive that performs admirably, it may not reach the blistering speed of an SSD, but it is far faster than a spinning drive. For those that would like to install an SSD, well you can! 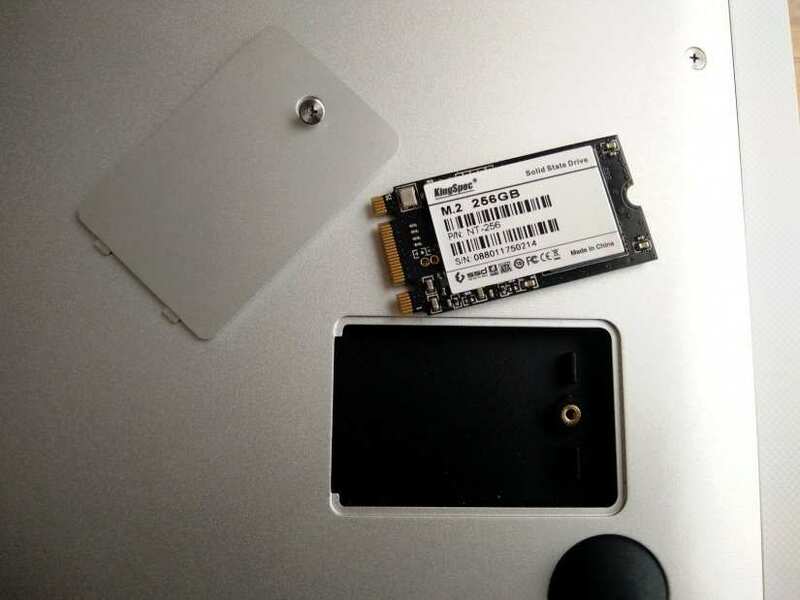 On the underside of the laptop is a small hatch, and in there we can install an M2 2242 (22mm by 42mm) SSD. 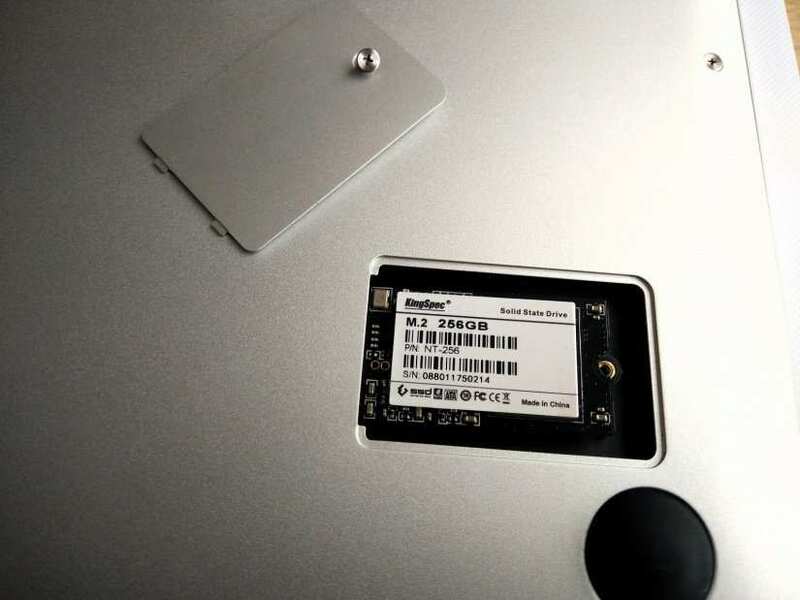 We chose a 256GB model and the installation process required us to remove the panel, insert the SSD and secure in place via the panel and screw, that was it! The drive was then formatted for Windows and we used Macrium Reflect 7 to clone the 64GB eMMC to the new SSD and expand the filesystem to take advantage of the extra space. By doing this we gained space, and we gained speed. Our eMMC was chugging along at 100Mb/s, but the SSD ran quite happily at 500Mb/s so our Windows experience was smooth, even with such a low powered CPU! The screen is a 14-inch IPS display at 1920 x 1080, and we have to say that it is simply gorgeous. IPS offers better viewing angles and richer colours. By default Windows will set the scale to 150% and while this may be ideal for text editing, watching videos etc., we found that reducing the scale to 100% gave us more screen space. It also fixed a bug with Fritzing, which does not like screen scaling and caused a few issues when trying to use it. 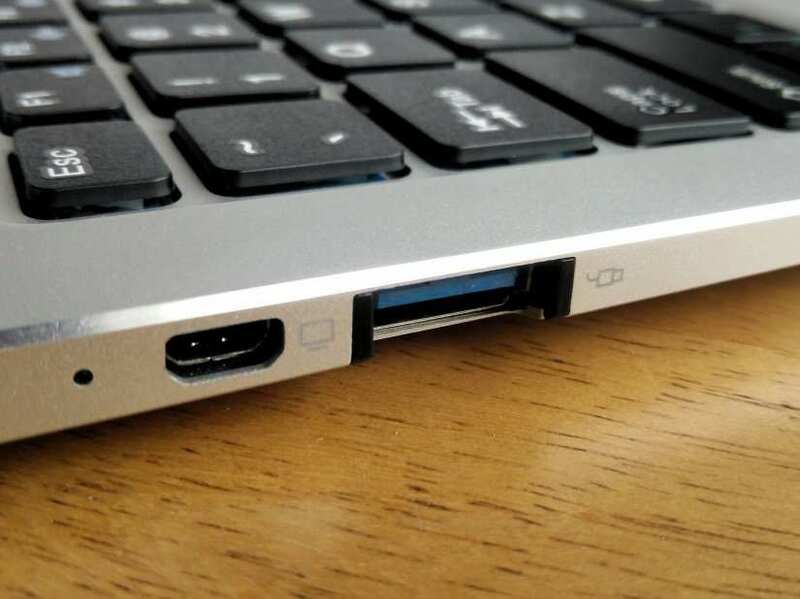 Connectivity, well we have two USB3 ports, a micro HDMI port which can drive an external display to extend our desktop (we tested an external 1080p monitor but Teclast state that it can drive a 4K display at 30Hz sadly we do not have one to test with). We have a micro SD reader, which is USB2 speed but adequate for the task at hand. There is a headphone socket which when connected to our speakers produced clear, punchy sound with no hiss. The last connector is the DC power socket for the 12V 2A power supply. Internally we have Wi-Fi b/g/n and 5GHz AC, courtesy of an Intel Wireless AC 3165, and in our tests it worked beautifully, we were able to move from one access point to another with no issues and stream bandwidth heavy 1080p without losing a frame!. Also present is Bluetooth 4 which provides connectivity for file transfer, audio and wireless keyboards/mice and it worked with no friction. We tested with a simple file transfer from the Teclast F7 to our Android phone (A OnePlus X) and then streamed a few hours of Spotify music while we worked on this review. All worked perfectly. For those of you that work remotely, or just want to connect with friends across the globe, there is a 2MP webcam that does a decent job, it can be a little ‘stuttery’ but adequate for the task. On either side of the camera are microphones that are up to video conferencing, but not much use for podcasting. You will also notice the lack of any grills for the speakers, that is because they are hidden in the hinge, but rest assured that the Teclast F7 can really get noisy with little distortion. 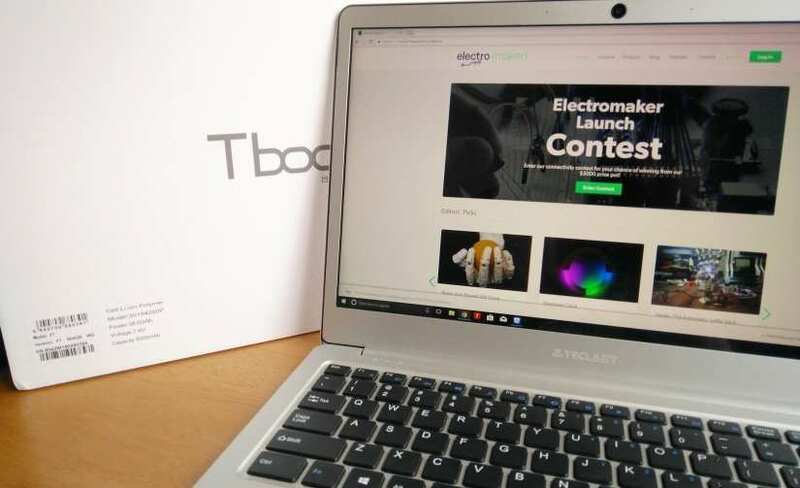 In a laptop, battery life is a top priority and the Teclast F7 offers us around 6 hours of use involving YouTube, emails, word processing and writing Python/Arduino code. 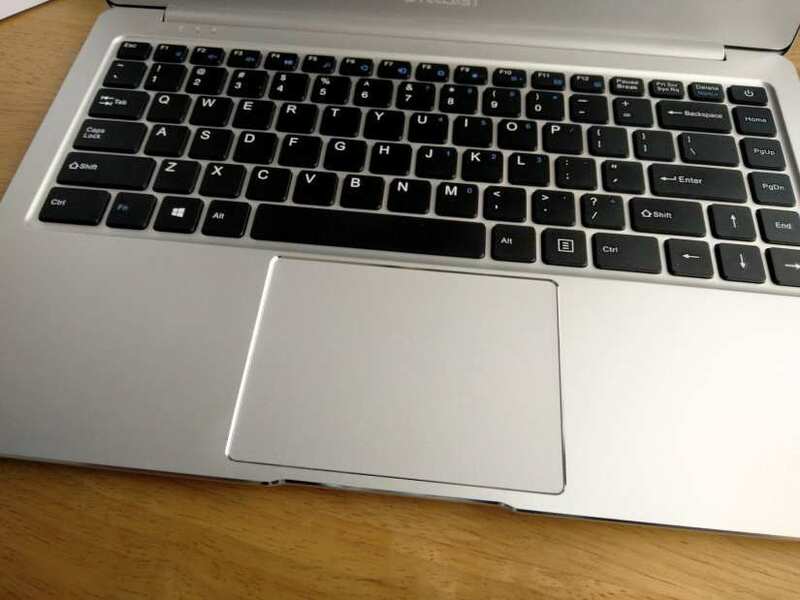 The Teclast F7 is power limited in the BIOS (accessible by pressing ESC while booting) to 9W meaning that the CPU is throttled, but this can be turned off if you need the extra power. But remember that this will run your battery down much faster. Running Windows 10 Home, the Teclast F7 is ready to be configured on arrival. Initially, the installation and configuration screens were in Chinese, but this was easily fixed during installation. Once configured and ready for use, we had to endure a round of Windows updates, not the most pleasant experience, but required. Once updated we rebooted and found that despite the rather low specifications of the Teclast F7, Windows ran really well. But our internal storage was rather low with only 10GB remaining. Enough for basic use but adding an M2 SSD is a must for anyone wishing to carry more data with them. If you really must run Linux (and as a Linux user for the past 20 years I completely understand), then the Teclast F7 can run Linux … but before you nuke the eMMC and install Linux, there is a problem. 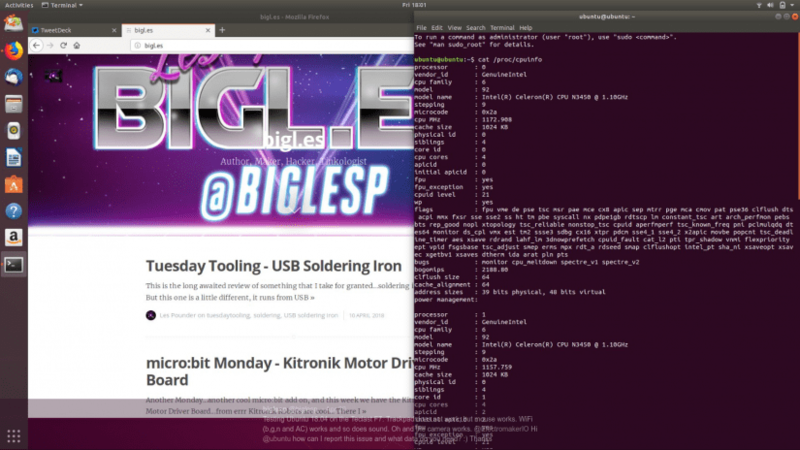 We tried multiple Linux distributions (Manjaro, Ubuntu 18.04, Debian and we updated the kernels to the latest 4.16 release) and they all booted from USB and they looked sublime, especially Ubuntu 18.04 with the vibrant purples (aubergine?) leaping from the screen. But no matter what distro we ran, the precision touchpad did not respond and we confirmed that the touchpad was not detected by the distributions. Plugging in a mouse worked and we then tested the wireless, Bluetooth, and audio. All worked perfectly, but the touchpad means that for the moment this is an issue that distributions will need to address in future updates. A bug will be filed with Ubuntu for their teams to investigate and hopefully resolve the issue, as the Teclast F7 will be a portable powerhouse with Linux at its heart. We wanted to take the Teclast F7 through a few apps that are considered the standard for makers. Can I use the Teclast F7 for…Laser Cutting? We installed the K40 Whisperer software and followed the steps on the Scorchworks website and within five minutes we were able to control the K40 and cut out a few wooden gears. We also installed Inkscape to edit the SVG files ready for cutting, and it performed quite well, only slowing down when we started to edit the gears. So using the Teclast F7 to control a laser cutter is a big yes! Can I use the Teclast F7 for...Development? Let's start with Arduino, and downloading the latest Arduino IDE and then connecting our 4tronix 4Duino Pro, we had the blink sketch running in record time, compilation is a little slow but nothing to be worried about. Installing Python 3 on Windows is a lot easier than it used to be. Coming as a single download we installed Python and the pip package manager and then fired up a quick Python session to confirm everything was working and indeed it was. When writing code, you need a good development environment and our choice is Sublime Text. It works really well and ran with no issue on the Teclast F7. Have no fear, the Teclast F7 is capable of handling your projects. Can I use the Teclast F7 for…3D Printing? A typical 3D printing workflow involves designing the object to be printed, and in many cases, we use the excellent online tool, Tinkercad which may be simple, but it is effective. Downloading the files to the Teclast F7 we then downloaded and installed the Ultimaker Cura software and then sliced up the Electromaker logo ready for print. Everything worked, no issues and for such a low spec machine, Cura had no slowdowns. So another big yes! Can I use the Teclast F7 for…Games? Yes, you can, but there is a caveat. No triple-A gaming is possible with the Teclast F7, which is a shame are we would really love to play the latest Doom game, alas we will have to settle for classic Doom. Any Windows game up to the mid-2000s is possible largely thanks to sellers such as a GoG and Steam packaging them for use with Windows 10. We tested with a few games purchased via Steam. 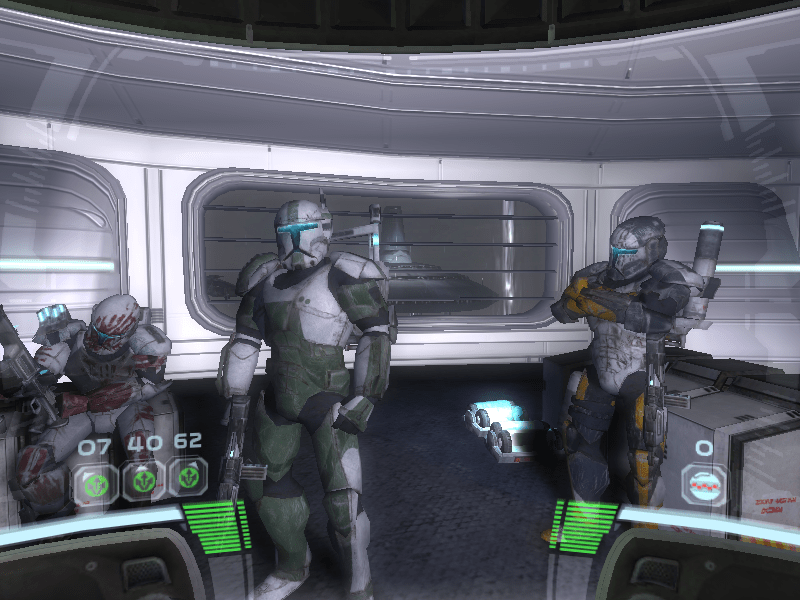 So a quick bout of Star Wars Republic Commando and Dark Forces II: Jedi Outcast resulted in a few hours of lost productivity but fun blasting. We also tried out Minecraft and found that it played really well on the hardware, even in fullscreen. So, in between hacking projects to life, you can now spend some time playing a few games. Can I use the Teclast F7 for…Entertainment? YouTube, Netflix, Spotify we tested them all for you, many hours of in-depth testing, just for you! We are pleased to say that the integrated Intel graphics coped with 1080p YouTube and Netflix with no slowdowns, with a big help from the Intel AC wireless that provided the bandwidth needed for streaming. The 1080p IPS display produced lovely rich colours and pleasant viewing angles, meaning we never had a bad picture! As for music, Spotify gave us plenty of music to work with, and no distortions when we turned the music up loud! Can I use the Teclast F7 for…Video Editing? Short answer, just. Long answer, you can but it may be an exercise in patience. We tested a short clip of our K40 engraving an image of Blackpool Tower into some wood. The clip and the Electromaker assets were loaded and edited ready for rendering, and when we clicked on the render button, the application just died. So we tried again and this time it worked, and recovered the project we were working on. But the render process for a 2m 16s 1080p video was 8 minutes 34 seconds and it did slow the system down, so no multitasking while rendering video. But for such a low power CPU did we really expect blazingly fast video rendering? Certainly not. So yes the Teclast F7 can edit video, but you will need patience, and the M2 2242 SSD in order to speed things up. Can I use the Teclast F7 for…General Productivity? Certainly! If you need to send emails, invoices, crunch numbers, write a dissertation/report etc, then the Teclast F7 will do the job. We ran Google Docs, LibreOffice 6 and Microsoft Word with no issues and the applications responded quickly. So, this could be your slim and light road warrior laptop! The micro HDMI port offers us the ability to connect to another display and either mirror the screens, or to extend our display, meaning we can have a dual screen setup, great for productivity. So, is the laptop to beat all laptops? Well, no but bear with us. The Teclast F7 is a low power device, the CPU is rather weak and we are stuck with 6GB or RAM but these weaknesses are also its strengths as it means we are only paying for the power that we need, rather than paying over the odds for something that we will never truly push to the limit. We have enough power to fulfil our needs and we are not paying over the odds for something that we will never push to its limits. That Dell XPS 13 at $1600, or the MacBook Pro for $2000 and what do we do with them, well we open Google Chrome and send an email, edit a document, or just watch cat videos on YouTube. Ok that is a little flippant, as makers we use applications such as Cura, Tinkercad, laser cutting and video editors but all of this is possible with a $300 laptop, and we get a slim, and dare we say attractive laptop for not much money. But dear reader there is something that we do not get with Teclast F7, and that is a warranty. If something goes wrong you will have to ship it back to China, and that will cost money. Taking a look inside the case and there are no moving parts to fail, there is a small motherboard that houses the brains and brawn of the Teclast F7. The most common failure is going to be the battery, but for a maker this is merely a stumbling point, not a deal breaker. The Teclast F7 is plenty of power for the maker on the move. 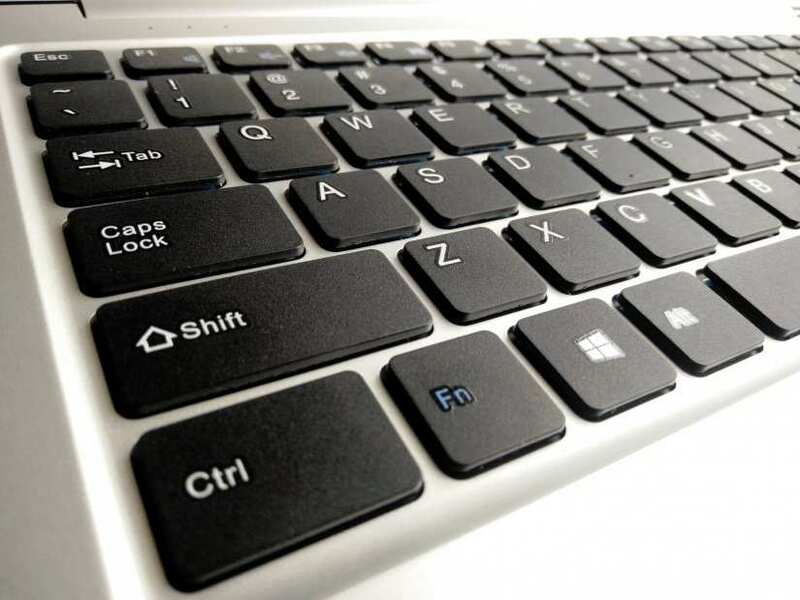 We have a thin, light Windows laptop that enables us to quickly and easily connect to Internet, use the apps that we need for our projects and simply get to work with minimal fuss. This $300 laptop is what we consider to be the comfortable minimum for a maker, enough power to get the job done. The Teclast F7 is a great laptop, it truly provides enough power for most makers, while retaining a slim and portable form factor. You could sit down and do a day’s work with this machine. The screen is great and battery life is decent, enough for most of the day. The current lack of Linux support means that at this time eager Linux users will have to use a mouse rather than the touchpad, that is until a driver is provided. But for most users, Windows 10 will do the job, and provide a stable and responsive platform. The lack of warranty will be a worry to some, but as there are no moving parts on the laptop, there is really not too much that can go wrong. 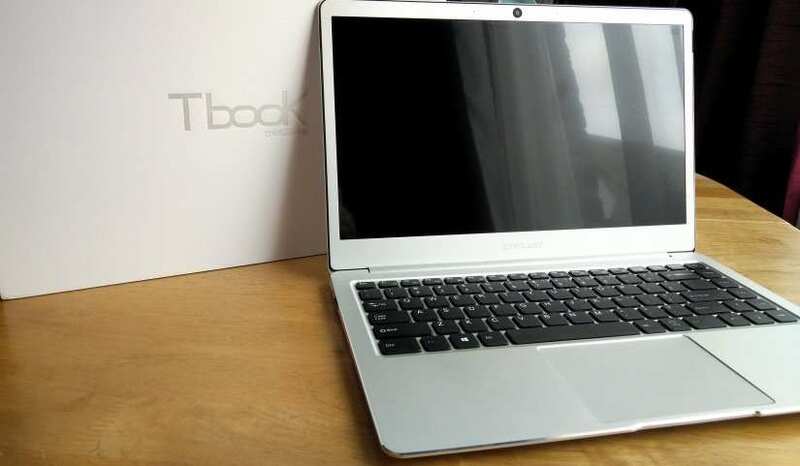 If any readers are keen to see this laptop firsthand before parting with their cash, then the Linx 14 available in the UK via Tesco, uses the exact same chassis, but has a slightly faster CPU, and less RAM. You can purchase the Teclast F7 from a number of places and it would be prudent to look out for discount codes, events and sales to grab yourself a bargain. We purchased our review unit from Geekbuying.com and it took around five weeks to arrive.